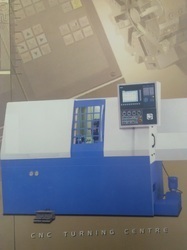 We are glad to introduce oue new CNC product Eco-turn 42 turining machine. In today's era of technology, this is an economical machine with casting body having dual clamping arrangement of collate and chuck. Tailslock arrangement is also provided as per requirement. 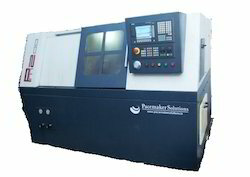 Following are the advantages of machine. Backed by an experienced team of professionals, we are engaged in manufacturing and supplying of a wide range of Polygon Turning Machine. These machines are available in different dimensions and grades depending on the requirement of the clients. We also offer these machines with customization in accordance with the specifications of the clients to meet their satisfaction. Our tool & die shop holds a pride of place at the core of our operations. It is a pre requisite for optimum production parameters. Our efficient tool & die shop ensures that our vision is in parity with absolute precision. We have here machining centers, erosion machineries, high speed drilling machine and a superior technical team to get the best out of them.